Announcing Summer 2015 Classes & Workshops. Register Now! Every spring, summer, and fall, the Poetry Center offers a calendar of noncredit creative workshops and literature courses. 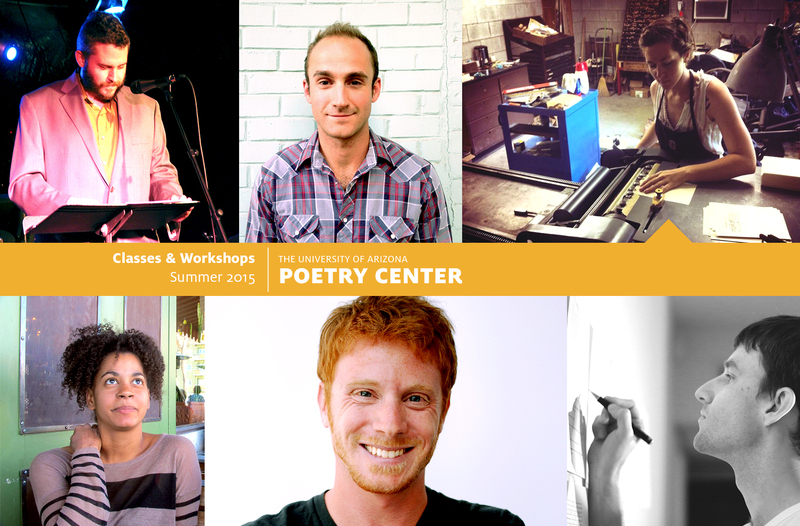 We’re happy to announce this summer’s lineup of courses in poetry, fiction, nonfiction, and letterpress print! Register for a course and spend time this summer at the Poetry Center with your writing, other writers, and great teachers! Copyright © 2015 The University of Arizona Poetry Center, All rights reserved.